New for 2010 Guessworks is producing a "HYBRID" gearbox for those who wish to keep the period look of their "Magic Wand" gear change but have the strength and reliability of the latest A+ gearbox. 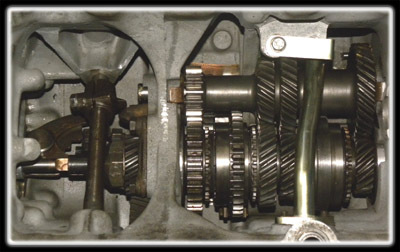 As the name suggests this is a hybrid of pretty much all the gearboxes used on a Mini throughout the years, retaining the original "Magic Wand" gear selection mechanism this is mated to a 4 synchro' gearbox which has been machined to accept the latest A+ gearset and shafts which not only increases strength and reliability, but also reduces transmission noise, a basic design feature of the A+ gearset. Coupled with this it is also available with the longer final drive ratios of 3.2, 3.1, 2.95 and 2.7. Built with the same high grade components as the Guessworks rebuilt boxes, including a Moly' competition diff pin for strength, high grade steel layshaft for superior longevity and Central oil pickup for improved oil feed to the engine. 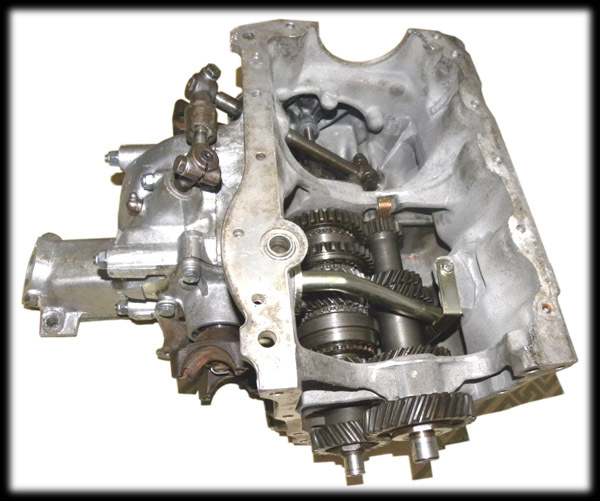 Available with either pot joint or crucifix output shafts with either standard A+ ratios (3.647:1 1st gear) or Wide Ratio A+ gearset (4.004:1 1st gear) this is especially suited to the small capacity engines (eg 850's) when using a long final drive and, of course, can be upgraded with any of the Guessworks options, like an X-Pin Differential, Straight cut drop gears (small bore primary gears subject to availability) or even a straight cut gearset if so desired.